Ms. Wolford is a Paralegal in the Federal Employment Law sector and in this capacity works chiefly on EEOC discrimination cases, MSPB disciplinary cases, OSC Complaints, and OIG Investigations. She is experienced in all manners of filings for Administrative Judges and Agency Counsel including Motion to Amend, Designation of Representative, Settlement Agreements, Motion for Requests for Mediation, Schedule Acknowledgment Order, Initial Status Conference, drafting Formal Complaints of Discrimination, and OSC Complaints. She is responsible for correspondence with Agency Counsel, clients, Administrative Judges, and scheduling. 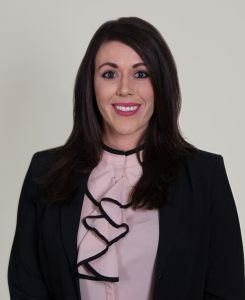 Ms. Wolford graduated from the University of West Florida with a Bachelor of Arts in Political Science and Pre-Law with a particular emphasis on the legislative process, Constitutional Law and American Political Thought. While a student, Ms. Wolford worked on a grant research project that focused on Historic Preservation Law. In this role she explored various historic preservation ordinances and municipal regulations for Foley, AL and provided recommendations that were implemented. For another school project she authored an award-winning essay that analyzed Public Policy Efforts on Obesity in Low-Socioeconomic Areas. Her work was later used by Congressional researchers. Ms. Wolford’s first job out of school took her to Capitol Hill where she interned for the House Veterans Affairs Committee (HVAC). While there she worked closely with Chairman Jeff Miller for whom she provided legal research, assisted with all committee hearings and advised the Chairman on local issues based on analytical assessment based on the political climate of the first district. In her free time, Ms. Wolford volunteers at a horse stable where she specializes in teaching and assisting children with disabilities how to ride, care and appreciate horses.